Even though I’ve lived in Jackson for almost twenty years, I still feel like a newcomer in a lot of ways, so it surprises me when somebody I think has lived here for quite a while tells me they didn’t know that Jackson has a third post office. It makes sense, when I think about. Tucker Street, which is where the third post office is hidden away, is one of those Jackson streets that ends about a block after it starts, and it’s secreted away a couple of blocks from the Jackson-Madison County General Hospital campus, so you aren’t likely to drive down it on your way to somewhere else. There are basically two reasons it surprises me that so many people don’t know about the Tucker Street post office (its official name, according to the sign out front, is “Tom Murray Station, Jackson, Tennessee, 38303,” but I’ve only heard postal workers call it that). The first is that I’ve been visiting it on a distressingly regular basis for the past ten years. I’ve been selling books online since Christmas 2007, and so every month I lug about 200 books, packed and taped securely in boxes and cardboard mailers, pre-printed postage and labels attached, into my post office and drop them off with David Wilson, an almost thirty-year veteran of the postal service who has been running the Murray Station since 2014. I know what time I have to leave my house to reach the post office before the counter closes at 4:30 P.M. (4:24, if I hit all the lights). I know that there are three parking spots, plus a handicapped spot in front of the post office, and that I’ll never snag one of those front spots at 4:30 on a Monday, though on a Friday I might have a chance. I know that the handle of the right front door is shinier than the handle on the left, because that’s the one that most people grab on their way in; I know that the right handle of the double doors that go into the counter area is less shiny than the left because people grab hold of that one. I can anticipate the scent of the air freshener that hits you when you walk in the back door from the parking lot, and the clunk of the door into the counter area when you open it and it hits the bell mounted above it. 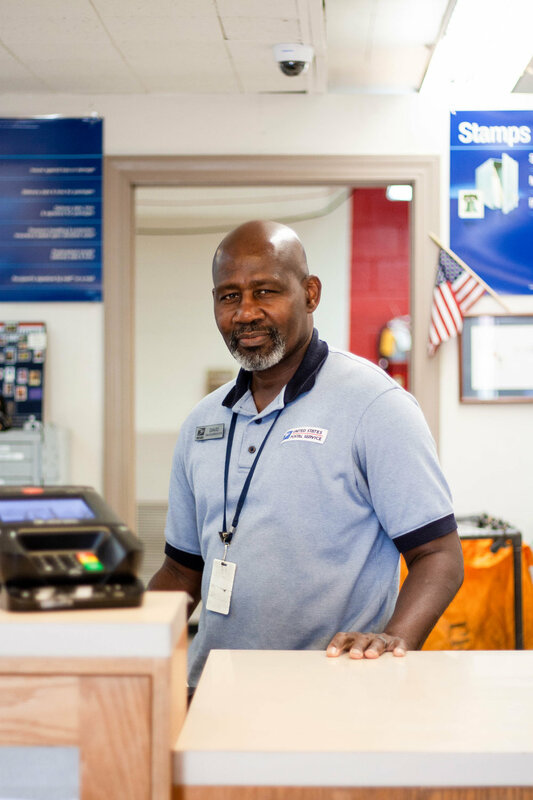 The second reason I’m surprised that more Jacksonians don’t know about the Tucker Street post office is that it’s unexpectedly popular with a remarkable number of people. More than once, a Facebook friend has posted a picture of David Wilson smiling behind the post office counter, and the comments quickly pour in: “Favorite post office ever!” “David is the best!” “I love this place!” It’s kind of the emotional equivalent of finding out a bunch of people love the same obscure, cult band you’ve loved, believing you were the only fan left, for years. Or, to use a more localized example, it’s like going to Porchfest last summer and listening to music on the first couple of lawns with a couple of dozen people, about half of them little kids, only to realize, by the time you’re heading to the fifth or sixth performance, that the street is thronging with people and that this has turned out to be a lot bigger than you anticipated. 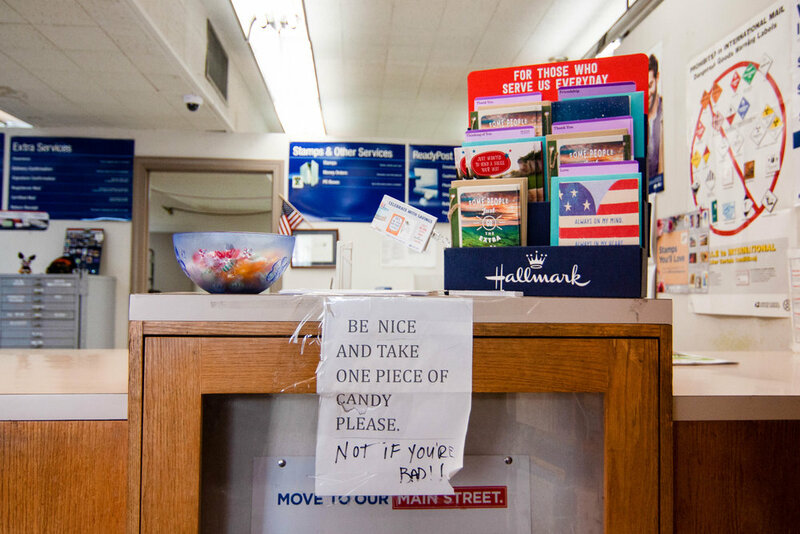 It also helps to have a candy bowl on the post office counter. Wilson said the idea to set out candy just came to him several years ago, and he pays for all the candy out of his own pocket. The sign posted below the candy bowl reads “BE NICE AND TAKE ONE PIECE OF CANDY PLEASE”; Wilson points out that the handwritten addendum—“NOT IF YOU’RE BAD! !—was the work of one of his customers. Next to the candy bowl lies a stack of coloring pages for kids (or any coloring aficionados, I suppose), and Wilson decorates the front of the counter with brightly completed pages. That spirit of generosity radiates from Wilson and Collier. Even when the waiting area is crowded with customers, Wilson’s friendliness never wavers: he asks customers about their family members or talks about his weekend plans, like taking his son to college, stabbing his finger at the touch screen of his computer as he plows through weighing packages or printing out a money order. Even the required questions—“Does this package contain anything perishable, flammable, liquid?”—sound, coming out of his mouth, less suspicious than concerned. In a rare moment when there aren’t any other customers around, I ask Wilson to tell me the craziest thing somebody has said or asked him to do during his time at the Tom Murray office. He laughs and says he’s not going to get into that. I push back a little, telling him about times I’ve seen customers at various post offices boil over at the workers for things that aren’t their fault, like the size of the Priority Mail boxes or USPS failing to offer overnight shipping. “Some people get in line at the post office and for some reason they turn meaner,” I say. 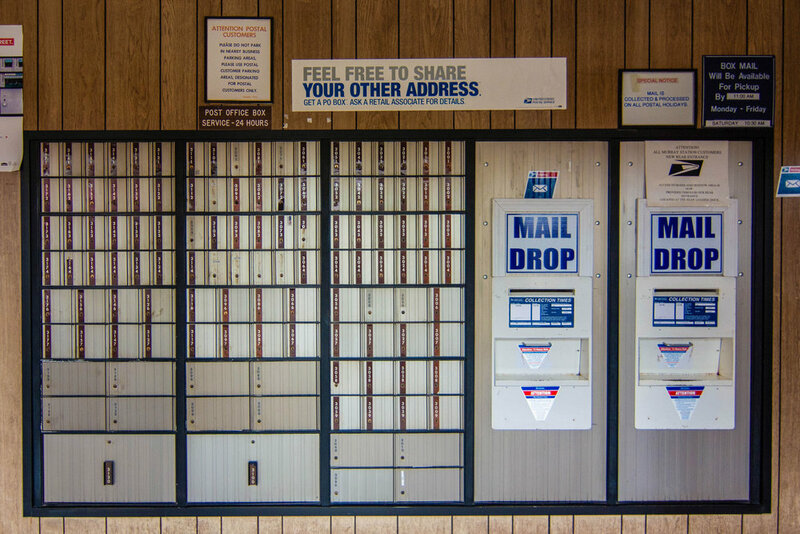 There are people who would love to close down all the post offices and fill the sky with drones picking up and dropping off packages at people’s doors. When I picture the hidden post office on Tucker Street and think of Wilson and Collier, working every day to make the Tom Murray Station a kinder place, I hope that future doesn’t come too soon. 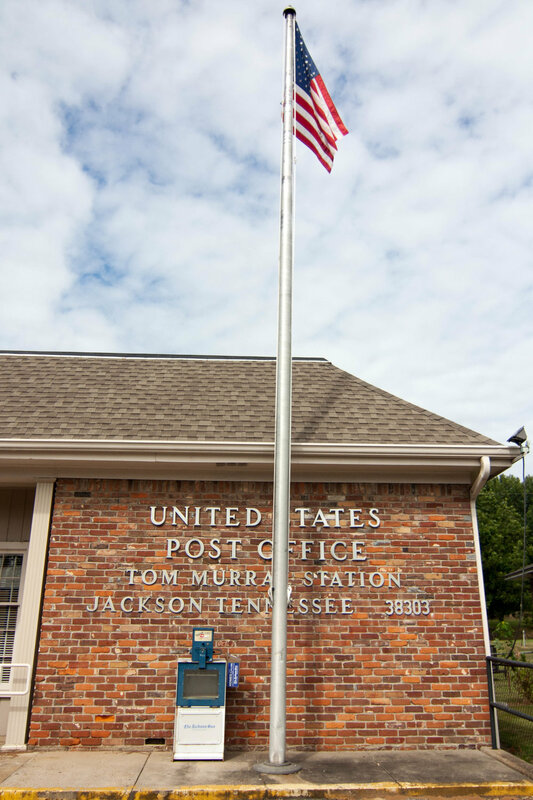 The Tom Murray Station post office is located at 133 Tucker Street in Jackson and is open Monday through Friday, 8:30 A.M. to 4:30 P.M. To learn more, call them at 800.275.8777. David Howard Malone has taught at Union University and lived in Jackson since 1999. His side gig, selling books on eBay, is spectacularly non-lucrative.